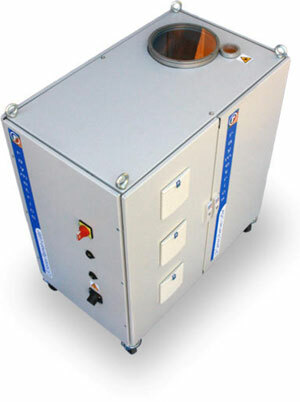 The LR111-D300 model LIDAR is an active laser remote sensing instrument, designed to provide a wealth of information about the atmosphere, including unambiguous detection of volcanic ash. The system can also be upgraded to detect water vapour, allowing for remote humidity profiling. 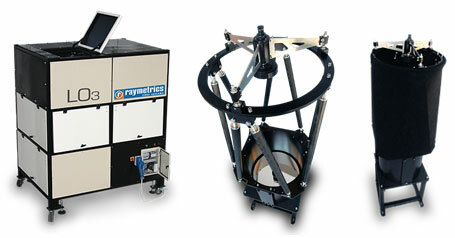 Raymetrics has been building Raman depolarization LIDARs since 2004. However the specifications of the LR111-D300 model LIDAR have been determined according to UK Met Office and EARLINET (European LIDAR Network) requirements. A 300mm telescope and laser emitting 60mJ at 355nm make the LR111-D300 probably the most powerful eye-safe LIDAR available commercially. Raymetrics's 3D scanning LIDAR comes with a 200mm telescope and a laser emitting 30mJ per pulse at 355nm, making it probably the most powerful eye-safe scanning LIDAR on the market. 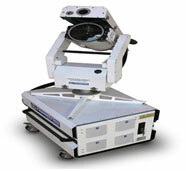 The system can detect up to 3 wavelengths, including 355nm co-polar and 355nm cross-polar. It is probably the only 3D scanning LIDAR powerful enough to detect nitrogen Raman at 387nm. Raymetrics offers a custom LIDAR design service for LIDARs which cannot be built from within our standard range of modular components. These can include entire LIDAR stations, Differential Absorption LIDARs (DIAL Systems) for ozone and potentially for other gases, and LIDAR components such as specialist telescopes. 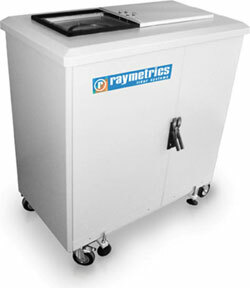 Raymetrics telescopes are designed for LIDARs with a focal point inside the telescope (as opposed to out the back where an eye-piece would be for atronomical telescopes). This reduces size and weight and also reduces the size of the secondary mirror, resulting in reduced obscuration and up to 40% increased signal. Mirror coatings are designed for wavelengths beyond the visible light range (for UV and IR wavelength). Optical quality glass is also used for telescope windows, thereby reducing chromatic aberration, which is extremely important for LIDARs. Glass is also not used to focus, which also results in chromatic aberration. 200, 300 or 400 mm telescopes are available as standard, with other custom sizes on request.